This island is "Enoshima ". This photograph is the scenery which was seen from the observatory. This photograph is an observatory. Enoshima island has a cave. You can enjoy such a place. A cave is called "Iwaya cave". 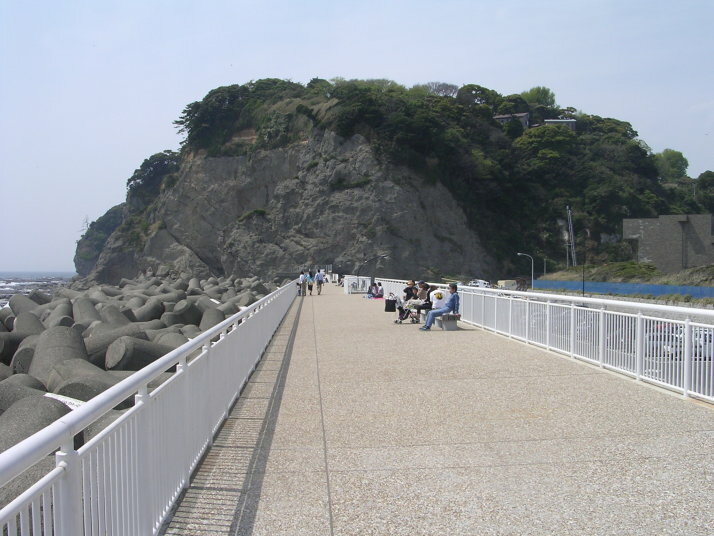 Enoshima island is a famous tourist resort. There is such a place, too. 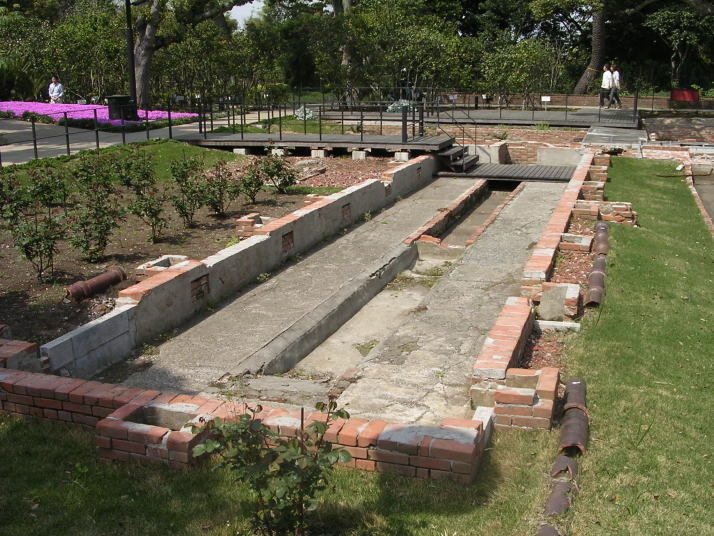 There is such a historical site, too, in the observatory. 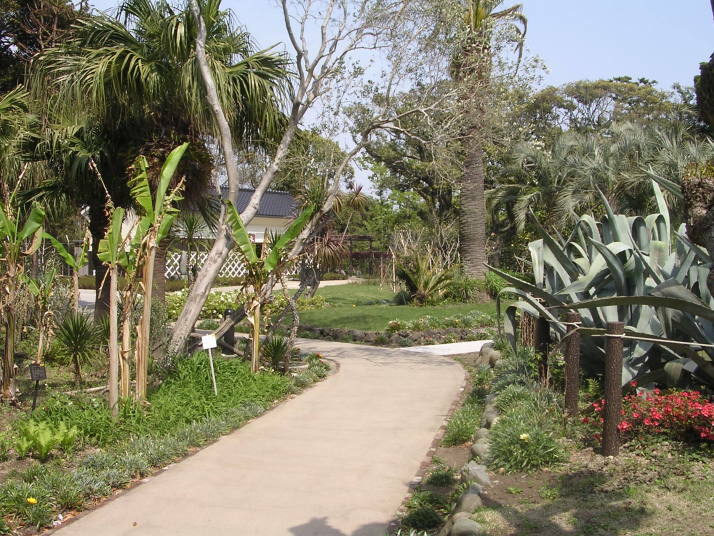 There is such an arboretum, too, in the observatory. 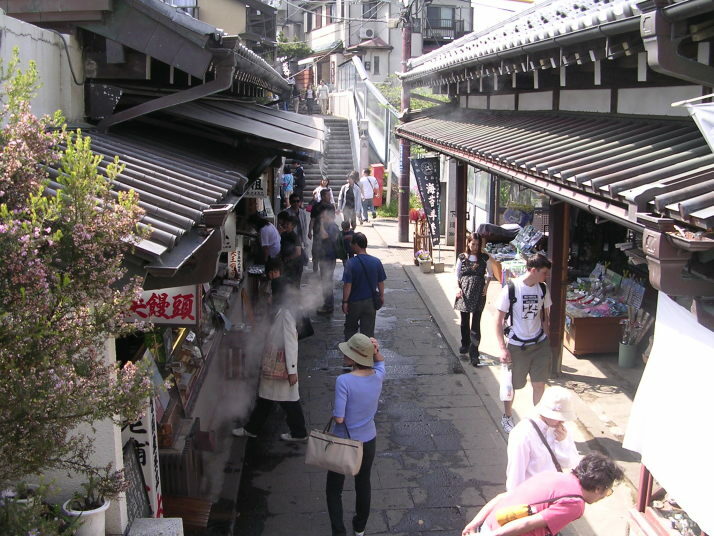 You can enjoy old Japanese city. 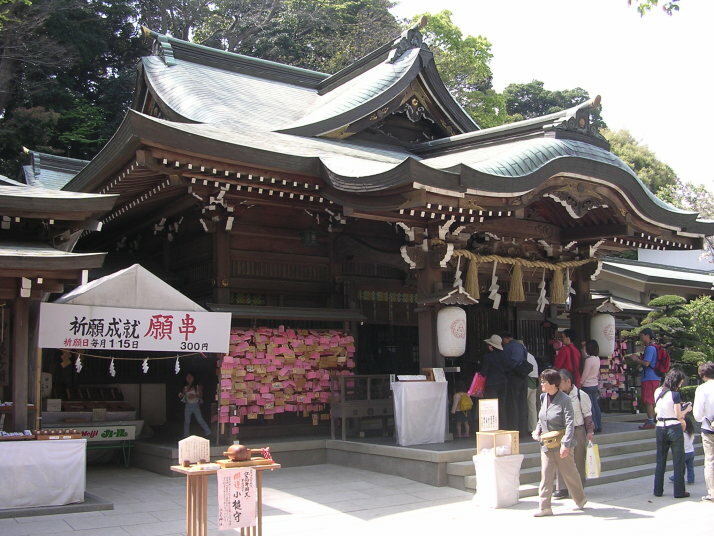 Enoshima island has a temple.